With the cold snap that has been hitting us here in the northeast U.S., gloves are a necessity. 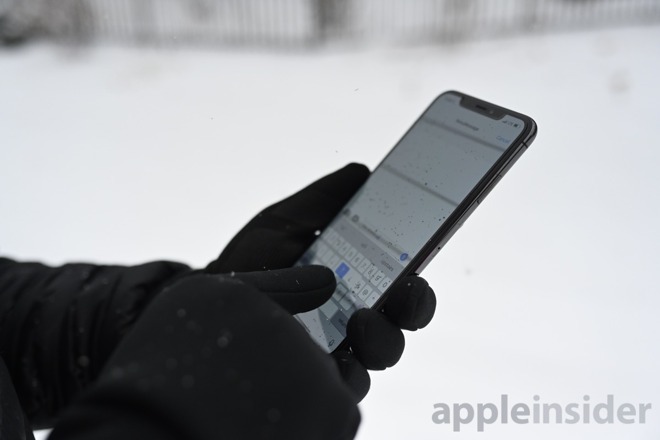 Mujjo, known for its iPhone cases and protective sleeves, has several pairs of touchscreen gloves available that do a stand-up job keeping you warm while letting you continue to use your phone. Mujjo puts out several different forms of touchscreen gloves, but the one we have been testing out in the freezing cold is the newly redesigned flagship model. 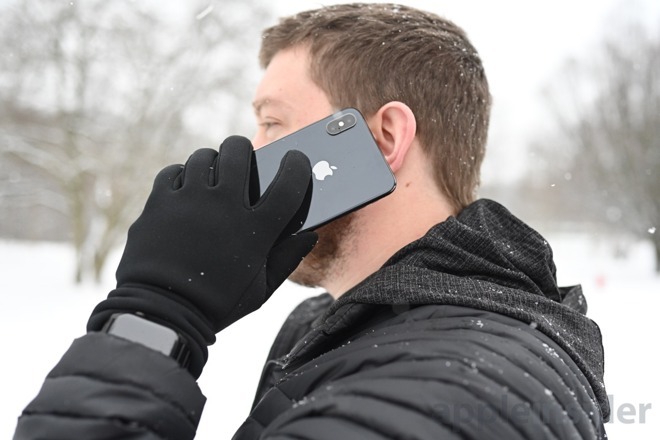 The material of the gloves is black-on-black, extremely comfortable, and make using your iPhone in the cold effortless. There are quite a few materials incorporated into the gloves. The front and back of the gloves look nearly the same, but only the material that spans the entire palm works on touchscreens. 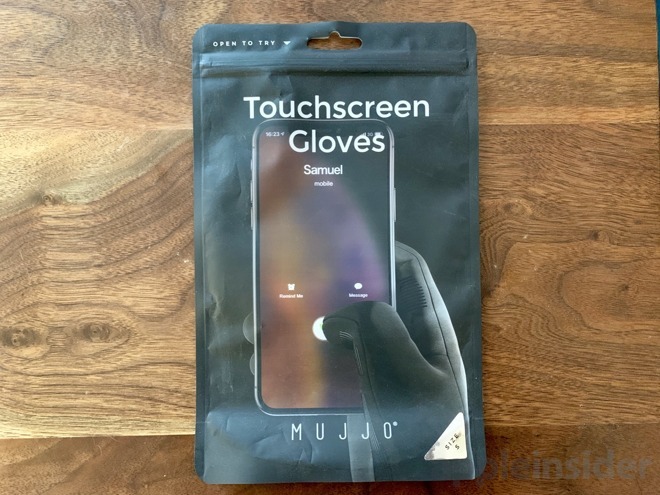 Cheap touch-capable gloves use special thread in the fingers, but Mujjo has evolved above that in these sleek gloves and uses a capacitive treatment on the fabric before it is sewn together. The inside of the gloves is a shallow fleece that makes the gloves comfortable when worn. All of the fabrics have four-way stretch which adds to their comfort and flexibility. These gloves are windproof which helps in gusty conditions. Mujjo uses 3M Thinsulate to laminate the top material for added insulation and those wind resistant properties. Covering each finger, as well as the palm, is a simple silicone pattern. This adds grip, which is pretty important on what may be Apple's slipperiest iPhones with the iPhone XR and iPhone XS family. You can't do a glove review without touching on how well they do keeping you warm. Mujjo's all-new touchscreen gloves are on the thinner side of the line, more useful for daily wear rather than a marathon snowboarding session. We've tried them out in a variety of situations and temperatures as low as -10F. When temperatures got that low, we didn't last more than 10 minutes before needing to seek shelter for our extremities, but temps like that are an anomaly and not the norm. Even in those temperatures, these gloves did an admirable job keeping the wind at bay. If the weather stayed like this, we would have to invest in some heavier outerwear. For the average cold winter, these gloves were perfect. Temps ranging 20 to 40 degrees were no problem for the Mujjo touchscreen gloves, keeping us warm on our commute or while out shopping. They are exceedingly flexible which was perfect for holding different items —including our phone. It also had substantial grip and was much easier to drive with when the temps were freezing. But as with any gloves, don't wait until your hands are cold to put them on. The capacitive coating on these gloves did a great job when using our iPhone. They are still thin enough for us to retain our dexterity, though our typing accuracy decreased quite a bit while using them. 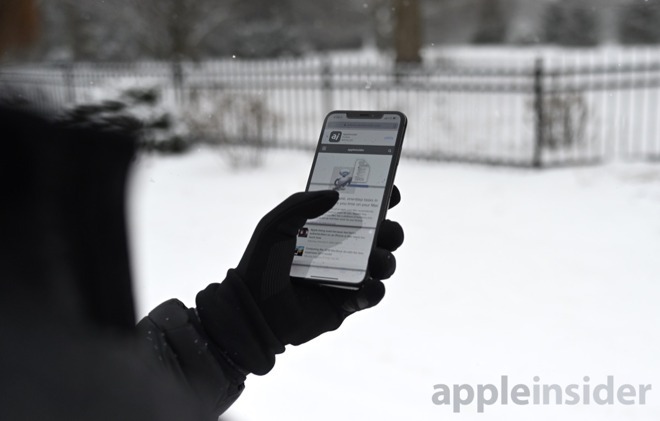 Touchscreen gloves are more useful than they were in the past because our phones now rely on Face ID rather than Touch ID. That lets us unlock our phones without having to remove our gloves. We still wouldn't want to type a manifesto with gloves on, but for answering texts, checking our Apple Watch, or snapping a picture, these gloves are perfect. These gloves are great, but they aren't the only ones we own. We have thinner single-layer ones and much thicker non-touchscreen ones. Day in and day out during this cold winter, we reach for the Mujjo Touchscreen gloves more often than not. They've become the perfect pairing for tackling the cold but still utilizing our touchscreen devices. You can grab Mujjo's new touchscreen gloves off Amazon for $49.95 in sizes ranging from small to extra large. Sizes run larger than we expect, so be sure to use the size guide when picking yours.